One more advantage of our service is Instagram account analytics. 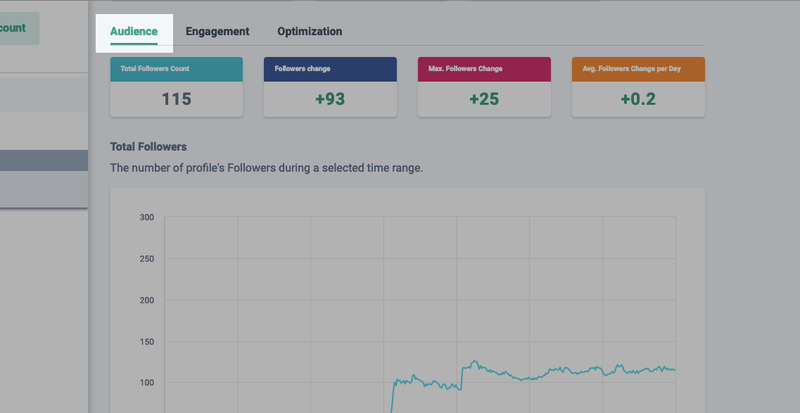 It includes data on the number of your posts, the number of your followers and their activity, the most popular hashtags, the best time for posting, etc. Important: the data on your account is only available as soon as it is added to Onlypult. 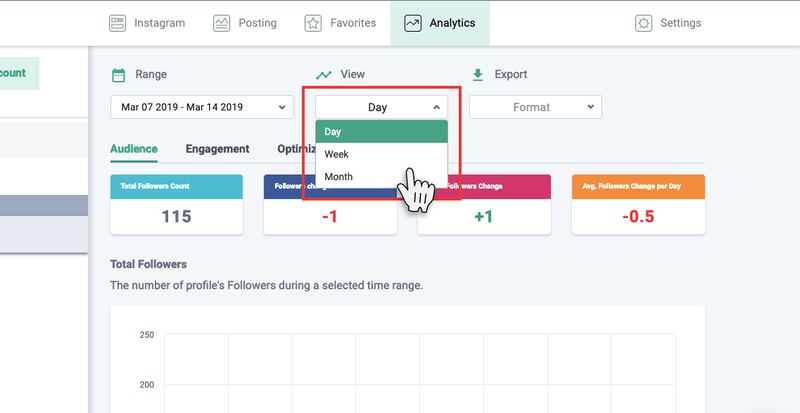 Important: if you have just linked an Instagram account, gathering the analytics data on it may take from 1 minute to several hours depending on the number of followers. 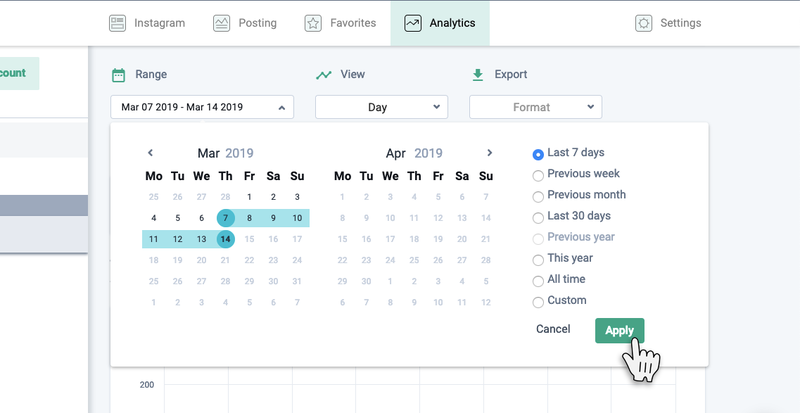 You can choose a custom range within which you want to obtain the data, see the data for the whole period of having an Onlypult account, and you can also choose one of the default time ranges: Last week, Last 7 days, Last months, Last 30 days, Last year, this year. You can also choose a type of grouping: Day, Week, or Month. The Week and Month types are very convenient for working with large periods. If you need to work with Excel data or just print out a report, you can use data export. The Audience is the general statistics data of the Instagram account. It shows the number of followers, the growth of followers for the selected period of time, the maximum growth of followers for the selected period of time, and the average growth of followers for the selected period of time. 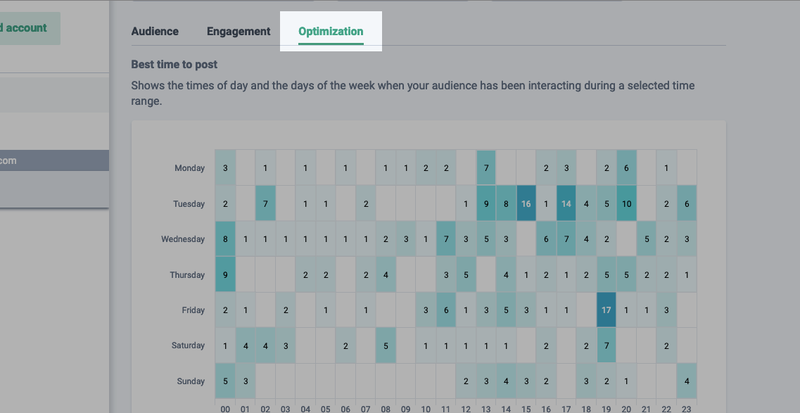 Engagement – the statistics data of account activity. 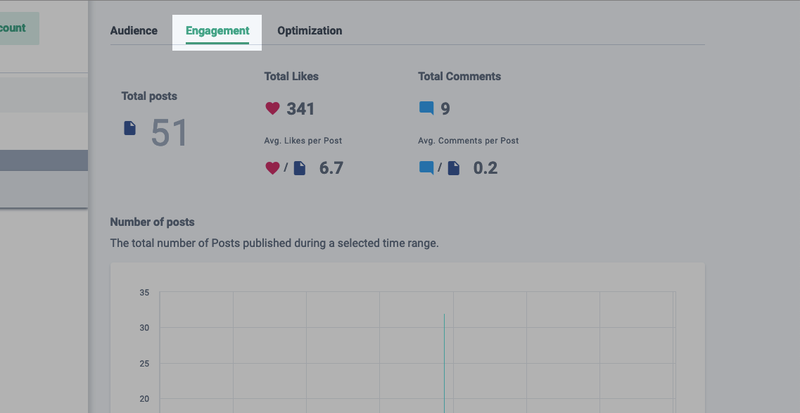 Here you can see the number of posts, the general number of likes, the number of comments for the selected period of time, the average number of likes per post and the average number of comments per post. 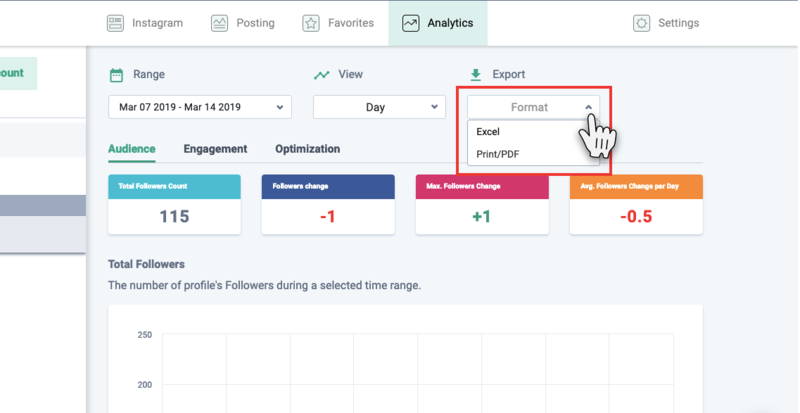 Optimization is a section in which you can find the best time for posting (both in general and for each day of the week separately) based on your followers’ reaction to your content, and see what hashtags attracted your audience most. The darker the color of the cell is, the more relevant the time for posting is, because in these hours your followers are most active. To make it clear to you, all data in the table are organized as a simple infographic scheme according to which you can predict what time is the best for posting. For example, according to this chart, the best time for posting on Monday is 1 PM, for Tuesday – 3 PM, for Saturday – 7 PM. Note that: the chart is subject to your time zone settings. We have tried to make the tool easy to work and simple but if you experience any difficulties or have any questions, do not hesitate to contact our Support team.